For millions of people around the world, heating water in a kettle is the first step toward making a cup of tea. 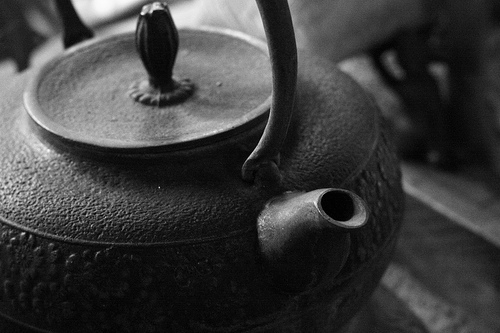 Using tea kettles is an age-old concept, but today's kettles are anything but old-fashioned. They come in a variety of colors, shapes, materials, and designs. What is a Tea Kettle? An apparatus used to heat water to a boil, found in kitchens in all corners of the earth. 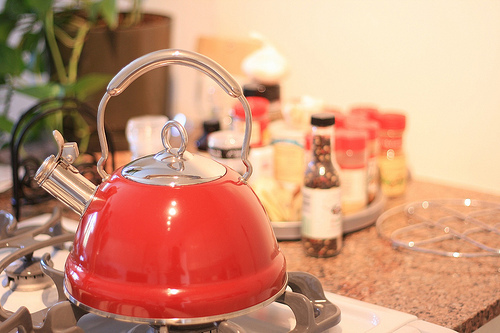 The two main types of tea kettles are stove top and electric. 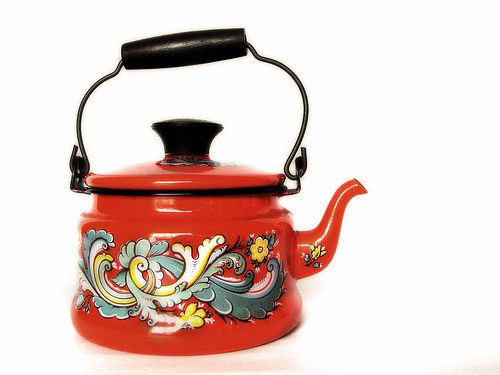 The concept of the stove top kettle is time-honored and the basic design predates modern stoves. Kettles of similar form were used centuries ago to heat water over open flames. Stove top kettles come in a variety of materials, including stainless steel, glass, copper, and cast iron. 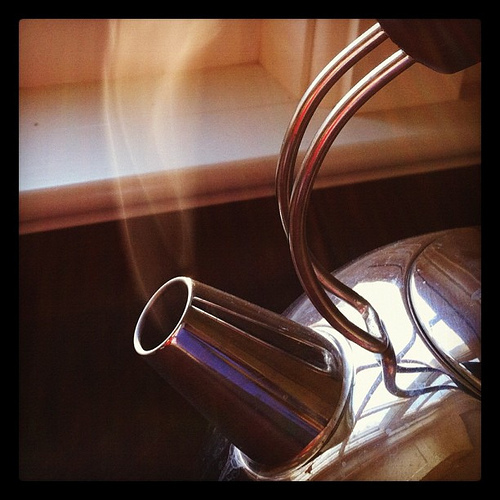 Many stove top kettles are whistling kettles, which let out a shriek when the water comes to a boil. 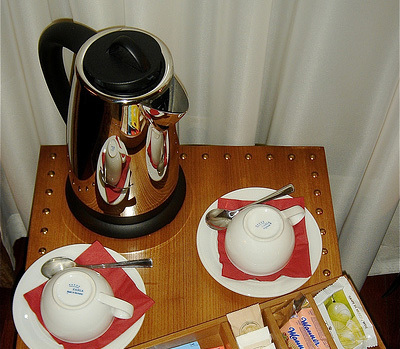 Electric kettles are made from stainless steel, plastic, and glass. They are very efficient, often heating water faster than their stove top counterparts and usually have an automatic shut-off feature so they do not stay on indefinitely. There are thousands of kettles on the market. A good quality kettle can last for years. The following are features to consider when making your selection. How much hot water you will you need at one time? Kettles range in size from holding less than a quart to holding over six quarts of water. Each quart fills roughly two and a half mugs. Them more water that's in the kettle, the longer it will take to boil. 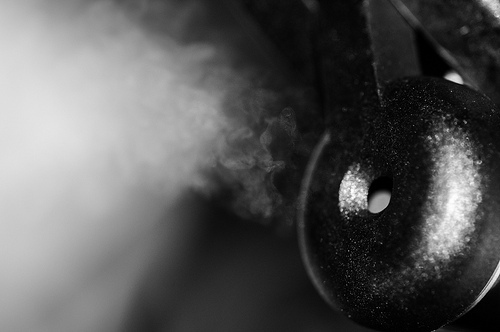 Whistles let you know when the water is ready so you don't have to monitor the boiling process. They are a safety feature but they can also make a ruckus. Stainless steel, a durable material, is extremely popular for its good looks and durability. Some stainless steel kettles have a copper bottom, which helps the water heat faster since copper is an excellent conductor of heat. Kettles made entirely of copper can be found, although the copper must be maintained since it tarnishes easily. Glass kettles look neat and allow you to see the water boiling inside. Manufacturers of glass kettles may recommend specific heating instructions as immediate high temperatures can cause glass to break. Plastic has become a popular material for electric kettles. Plastic is light and allows you to see the water level inside. Look for kettles with large handles made of a heat-resistant material like silicone or plastic. Handles that are either angled or situated on the side of the kettle tend to be more ergonomic and comfortable for pouring than those positioned at the very top of the kettle. Wide spouts make pouring easier. Many kettles with covered spouts have a trigger that opens the spout while your hand stays a safe distance from the steam. Because kettles are durable (as long as you get a good one), you should plan on seeing a lot of your tea kettle. It may even be a permanent fixture on top of your stove. Choose something you will enjoy looking at and that is pleasant enough to display. If you're a die-hard tea drinker, consider a kettle that comes with a tea infuser. This small accessory is designed to hold the tea inside the kettle to steep. 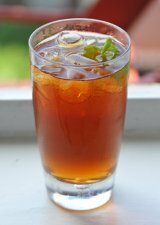 The infuser is useful if you plan to brew a lot of loose leaf tea.